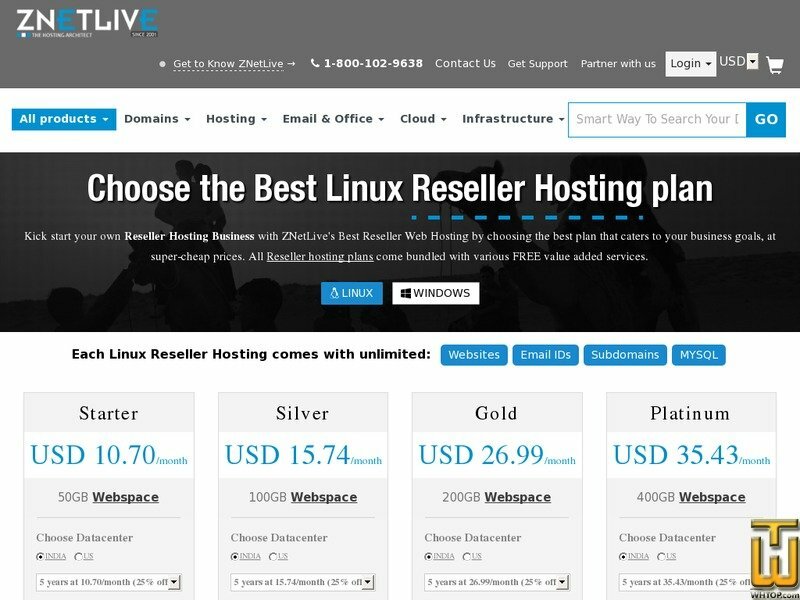 Starter - Reseller Hosting > znetlive.com, #36299, USD 11.41/mo. Plan #36299, Starter - Reseller Hosting, $ 11.41/mo. See also original Starter - Reseller Hosting plan location on their website! Establish your own web hosting business with ZNetLive's best Reseller Hosting that provide latest enterprise grade resources with super cheap plans.